The snow is starting to fall and with that being said this means the roads will be getting worse. Yes, I said it. The roads will progressively be getting worse and the snow continues to fall. I seem to notice that every year when the roads start to get slippery and snow covered, the residents of this fine state forget how to drive. Here is the deal, every year it snows here in Michigan. So I am here to help provide a few tips that may be helpful to those who are not huge fans of the winter season. First of all, check the quality of your tires. If you’re able to get new ones, or better winter ones, I recommend you do so. This can make a world of difference. 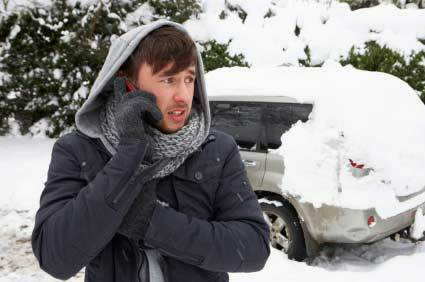 Secondly, make sure that your car is cleaned off and defrosted. Take the extra time to make sure that you’re able to see clearly. Third and I cannot stress this point enough; make sure you’re driving to the conditions of the road not the posted speed limits. Give yourself plenty of extra time to get where you need to be going. Fourth, when it comes to braking, give yourself plenty of room to stop. Don’t mash on your brakes, this will only make you slide. Lastly, my final tip would be in regards to someone who gets stuck. Remain calm, don’t stress out and spin your wheels (this will only dig you deeper). Call someone to help you. Hopefully you find these few small tips beneficial. Make sure you have plenty of time and enjoy the winter season.